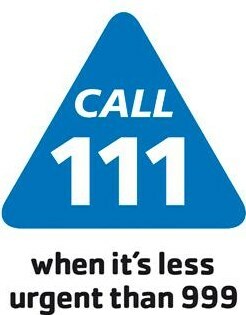 Patients who require medical treatment when the surgery is closed should contact the NHS 111 service by phoning 111. Between the hours of 18:30 and 08:00 Monday to Friday and throughout weekends and bank holidays, services are commissioned by NHS England. For patients who require routine treatment but struggle to attend appointments during working hours due to their own work commitments, there is a new extended hours service. Patients who are registered with a GP in Heywood, Middleton or Rochdale can book evening and weekend GP appointments at one of the ‘Extended Hours Hubs’. 18:30 – 21:00 Monday to Friday, 08:00 – 18:00 Saturdays and bank holidays, 10:00 – 13:00 Sundays. There are also nurse appointments available on Saturdays. Patients can make an appointment by calling 0161 763 8292. The Urgent Care Centre at Rochdale Infirmary, Whitehall Street, Rochdale Tel: 01706 377777.